Companies which have managed to appeal to customers through their emotions have received huge benefits. They have attracted fans and created unmatched added value for their brand. Brands search for different ways of inducing a positive attitude through their advertising and the messages they convey to their target audience. That’s where key challenges hide. How to ensure your brand provokes delight? How to measure emotions (facial expression) and make the brand stronger? 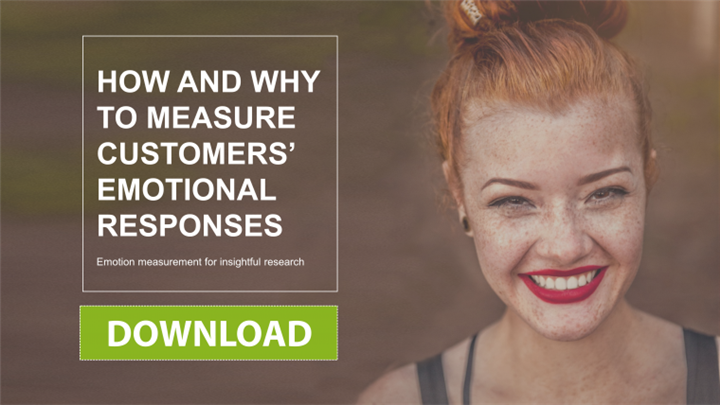 The answer is – emotion measurement. It is possible to measure customers' feelings which form their behavior. And measuring customers' emotions should be a structured process and not just an occasional interviews. keeping emotion measurement efficient, etc. Should you have more questions about emotion measurement or other neuromarketing tools, contact us at hello@cooltool.com and we will be happy to answer your questions.